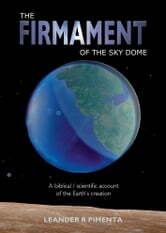 'The Firmament of the Sky Dome' explores how a supernova explosion of a large star eventually resulted in the formation of planet Earth and the rest of the Solar System as we know it today. Knowing how the Earth was created is the key that unlocks the mysteries of many global events that have occurred on our planet in the past and will take place in the near future. 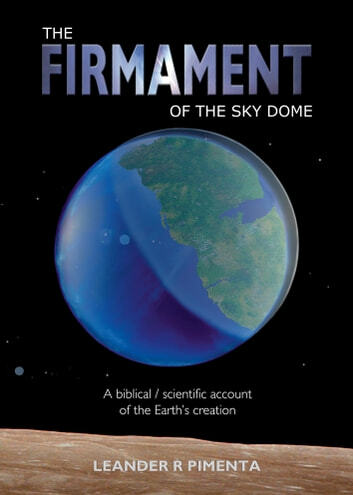 These include the dramatic events of the first three 'days' of the Genesis 1 account of creation: the floodlighting of the entire planet, the formation of the solid dome in the sky called 'the firmament' and the emergence of a supercontinent of dry land. Other events include Noah's flood which wiped out nearly all land-living life; the dramatic parting of the Red Sea; the breakup of the supercontinent into the present say continents; Joshua's long day when the Earth appeared to stop rotating; Ahab's sundial which indicated that the Sun had moved backwards in its normal path across the sky; the destruction of the cities of Sodom and Gomorrah; the extraterrestrial events that are predicted during the Great Tribulation to come; the devastation of the Earth by a Great Fire and its subsequent transformation into a paradise with the city of New Jerusalem. The book intertwines the verses from the Bible with scientific truths, and gives an entirely new insight for the interpretation of the geology of the Earth. The future of the Earth is also predicted: the Earth will be devastated by a global 'natural' nuclear explosion that will set it on fire; but this will not be the end because it will be subsequently transformed into a wonderful paradise for a new phase of existence for mankind.